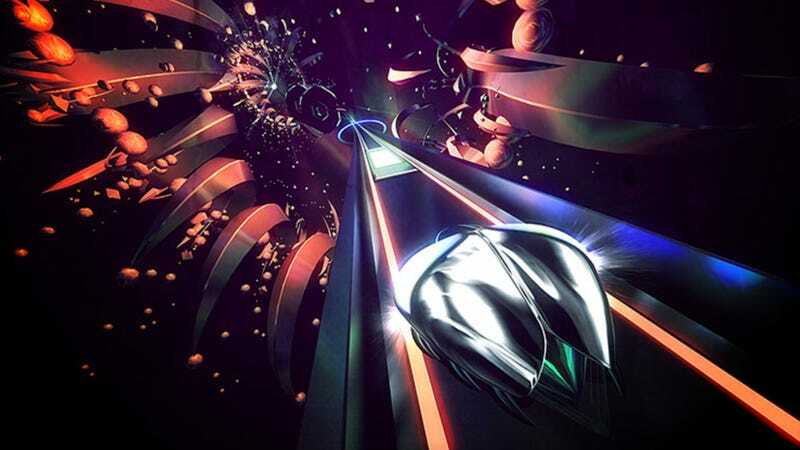 The very fine rhythm game Thumper hits Nintendo Switch today. The very fine rhythm game Thumper hits Nintendo Switch today. I’ve been playing the Switch version over the last couple days, and it’s a good port. Looks nice, runs at 60fps, and feels good too, thanks to the Switch’s handcrafted artisan controller rumble.